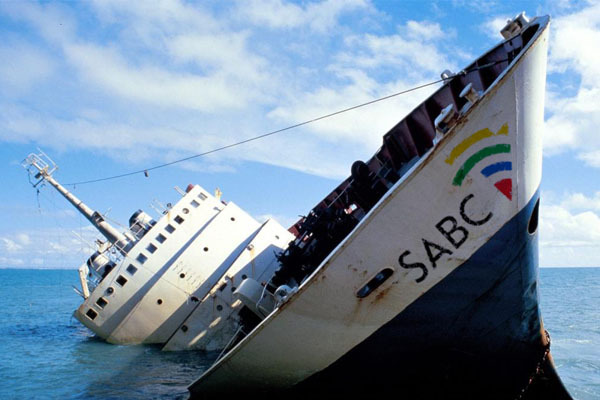 The SABC tells you to pay your TV licence because “it’s the right thing to do” – but thanks to the onerous cancellation process, it’s basically the only option you have. Thousands of South Africans continue to pay the annual fee of R265, simply because trying to cancel it is a nightmare process. The SABC website says that “when one has sold or otherwise disposed of one’s television set(s) a TV licence is no longer required”. Unfortunately, the matter is not as simple as the SABC states. According to many who have tried to cancel their TV licences, the “prescribed form” simply does not exist. One licence holder sent through a signed affidavit and all other details to the broadcaster to cancel – only to be told that they needed to use the prescribed form on the website, which cannot be found anywhere. Any requests to get the form from the SABC at the time of writing got no response, reflecting similar reports from South Africans saying that their requests were ignored. Another way to get out of a TV licence is to render your TV incapable of receiving a signal. However, this needs to be done by certified professionals, and needs to be checked by an SABC inspector – who charges R300. The pain doesn’t end there – as you will have to send proof to the SABC every year that your TV still cannot receive a signal. If an inspector comes to check, you pay an additional R300. Failure to pay your TV licence means your account will incur a penalty of 10% per month to a maximum of 100% per annum – a process which does not prescribe, as a licence will not automatically cancel. Fees and penalties will stack up – and any attempt to purchase a TV, or even cancel the licence in the future will be blocked. If the matter ever goes to court, under the Broadcast Act you face a R500 fine on top of everything you owe, six months in prison – or both. Fortunately, some were successful in cancelling their TV Licence in the past and have shared the document with others. Of course, even if you manage to “cancel” your licence, it may not work out for you. Many people report cancelling their licence, only to be left with a stack of bills and penalties under their name after a few years. This points to an administrative issue – something which auditors confirmed in the SABC 2014/15 report, where it was stated that management did not have the procedures and policies in place to effectively account for TV licences in the country. In the 2014/15 financial year, the SABC collected just under R1 billion in TV licence fees (R913.4 million). The group said that this was below expectations due to the Post Office strike which impacted the delivery of statements. However, auditors noted that the TV licence segment received an unqualified audit, as the SABC could not account for all the purported fees. The group applied for a tax deduction on unpaid fees labelled as “doubtful as to its recover-ability” – which was pegged at R982.5 million – another total the auditors simply could not find enough evidence of to confirm.